Wonderful home in Brookshire Heights, rebuilt in 2013 (original home gutted and rebuilt) with 3 way split floor plan, master down and large back yard with (saltwater) pool! Large family room featuring a wet bar, very light and inviting with tile floors, plantation shutters and great lighting. Lovely open kitchen w/ granite countertops, 42" wood cabinets and stainless appliances. The layout is perfect for entertaining allowing the bedrooms including the master bedroom to be private from rest of home. Master also has its own French doors opening to the pool area. Pool has recently been resurfaced with diamond bright finish and sparkles like your private lagoon. The back yard is fenced and nicely landscaped. Brick pavers surround the pool for easy maintenance. Upstairs you will find an incredible space that can be used for so many purposes such as office, gym, studio, media room. Includes a large private 3rd bedroom with a full bath and a separate entry door with stairs to outside (perfect for college student, visiting family/in laws, office assistant, since it has separate/private side entrance) Front and exterior balconies. 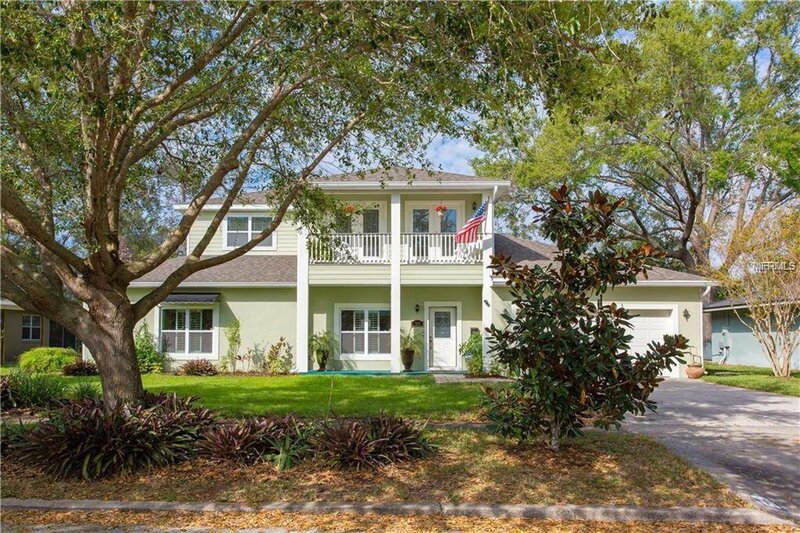 Enjoy the convenience of a fantastic location in Winter Park, minutes to Park Ave, sought after dining and shopping; Winter Park Hospital; Winter Park Village; Rollins College; Baldwin Park; the 417 and highly sought after Winter Park Schools. If buyer needed a 4th bedroom, there is plenty room upstairs for buyer to add wall to make another bedroom. Listing courtesy of FANNIE HILLMAN & ASSOCIATES. Selling Office: RE/MAX 200 REALTY.